New Zealand is not exempt from these forces. We have seen an increasing obsession with Anzac and Gallipoli, which has come to a head over the last four years of remembrance around the First World War. I wish to draw attention to some of the problems with New Zealand’s practices of war remembrance by examining two of the nation’s most prominent commemorative exhibitions: the Weta Workshop-created Gallipoli: The Scale of Our War at the Museum of New Zealand Te Papa Tongarewa, and Sir Peter Jackson’s production, The Great War Exhibition, at the old Dominion Museum in Wellington. These exhibitions are premised on providing emotionally rich experiences for visitors. The expectation is that emotional encounters will engender empathetic responses which in turn will translate into greater interest and understanding. Museums are uniquely placed to produce such emotional experiences. Not only are they perceived to be objective and neutral, but they can draw upon and make use of both multimedia technologies and authentic material and immaterial cultural heritage. Though as Spencer Crew and James Sims write: “Authenticity is not about factuality or reality. It is about authority. Objects have no authority; people do.” Museums do not simply gather valuable objects, they make objects valuable by gathering them. This is known as the “museum effect“. It is important to acknowledge that museums, particularly national museums such as Te Papa, have complex and often contradictory mandates: they are asked to inform, entertain, and safeguard heritage and taonga, to be innovative and entrepreneurial, and to provide both forums for discussion and moral guidance. Meanwhile, The Great War Exhibition, which was funded in part by the Ministry for Culture and Heritage, is run by a charitable trust – the National Military Heritage Trust – and is akin to a “World Fair” type production in that it is a temporary installation that looks like a museum exhibition. Firstly, feeling does not inevitably lead to understanding. The rise of populist politics in the West, which often ferment around base identifications, misdirected grievances, and fantasy attachments, is evidence of this. Secondly, even though neither exhibition explicitly glorifies war they instead nourish nationalistic and chauvinistic sentiment to the extent that they engender a form of “collective traumatic romanticism”. That is, they up the ante with regard New Zealand’s history of suffering and trauma, and, as Jan-Werner Müller explains, collective trauma and victimhood can readily be used in the production of confirmatory (normative) and nationalistic discourses. Finally, public representations of the past cannot be divorced from the conditions of their production. The role played in these commemorative exhibitions by two film moguls best known for manufacturing works of heroic fantasy is interesting, to say the least. The full-scale outsourcing of remembrance production to corporate entities, even when the transactional nature of the exchange is not primarily financial, raises numerous ethical questions. For example, what sort of compromises (for instance to their public remit or best practice) do museums make in the process of handing over authorial control? In other words, it is essential that we consider how these commemorative spectacles are constructed, whether aesthetically, politically, or financially. As the centennial commemorations draw to a close, I think it necessary to ask what it is we have been remembering for. Has it been to simply acknowledge the terrible cost of the war, while setting aside more thorny questions of causality? As I see it, neither exhibition adequately contends with questions of capitalistic or imperial intentions; in fact, politics is little more than a sideshow. Such questions do not call into doubt either the horror of the events represented or the grief of those affected. Instead, they are a way of foregrounding the political nature of both the event in question and the act of remembrance itself. Remembrance can be approached from numerous angles: from the revolutionary potential of Walter Benjamin’s “historical redemption“, to W. G. Sebald’s poetics and ethics of witnessing, to the sentimental and jingoistic posturing currently on display in nations across the globe. Put differently, if we take history and indeed memory to be the arts of representing the past, then it follows that we have a degree of agency in how we go about ‘composing’ it. That we remember is well and good but the questions I am concerned with here are in which direction this remembrance points, and what do official injunctions to remember ask (or demand) of us? What would it look like to commemorate the past well? Perhaps, as Hannah Arendt put it, “The best that can be achieved is to know precisely what [the past] was, and to endure this knowledge, and then to wait and see what comes of knowing and enduring.” This is problematic, however. Firstly, “knowing precisely” is an impossibility, and secondly, facts can be put to use in different ways. Neither exhibition in question can be accused of playing fast and loose with empirical evidence: both involve excessive detailing. Nevertheless, the abundance of evidential material in each exhibition exacerbates rather than lessens their “myth-making” potential, in that the material is used to both produce and validate the emotional responses of visitors. 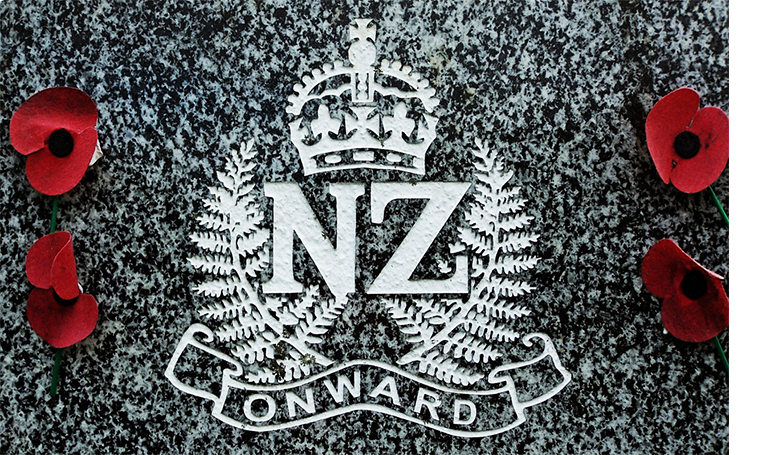 What also seems clear is that the First World War increasingly serves as something of a “screen memory” for New Zealand’s colonial history. Unsurprisingly, the nation’s involvement in an imperial war is far easier to incorporate into the national imaginary than our history of colonial conflict. Not only because it exists far off, both geographically and politically, but because it is now seen as being mistaken and pointless. Colonialism, on the other hand, cannot be dealt with so superficially. To conclude, the issue at stake here is not too little feeling but too much. In this way, the distinction between “acting out” and “working through” needs to be considered. That is, the difference between simply re-staging the traumatic event, or actually processing it and interrogating its causes. Encounters with the traumatic past can easily become shipwrecked on the shoals of identitarian politics; there is a complex relationship between feelings of victimhood and chauvinism. Defensive (traumatised) stances can under certain conditions rapidly evolve into aggressive posturing. The orchestration, performance, and perpetuation of collective trauma via the dynamics of remembrance, particularly when it coalesces around an already dominant cultural group, must not go unchecked. 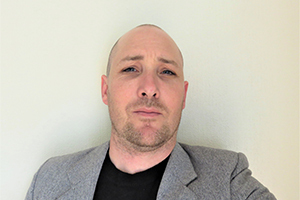 Based in Nelson, Nicholas Haig completed a Masters of Arts in Museum Studies in 2016 and has recently begun Doctoral studies with Massey University. His research focuses on contemporary memorial formations and the social and political role of museums. Nicholas works as an art critic and curator and has been employed as a junior research assistant and tutor by Massey since 2016.